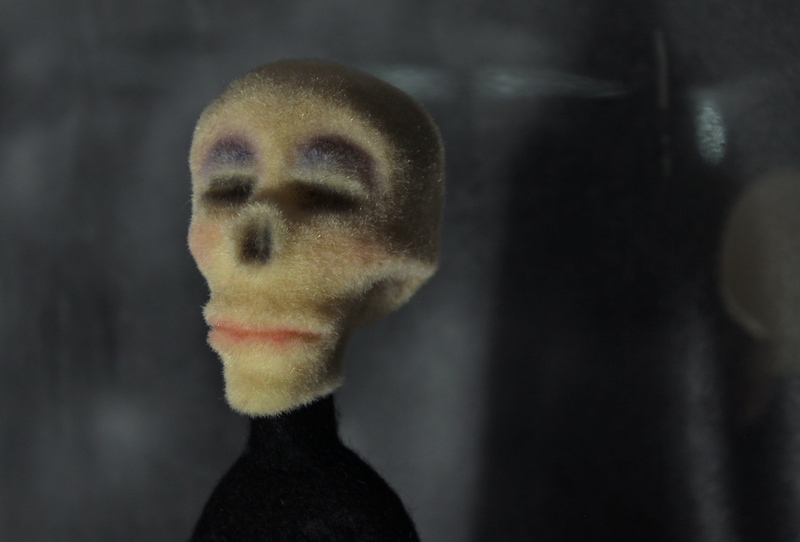 Bitsy is a handmade animation puppet with a wire armature and carved foam innards. 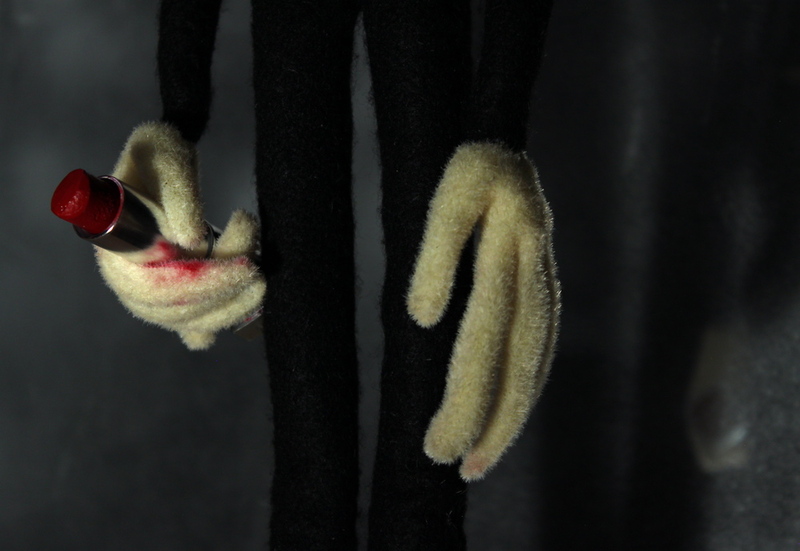 Her exterior is hand-stitched fleece with replaceable eyes and nose. 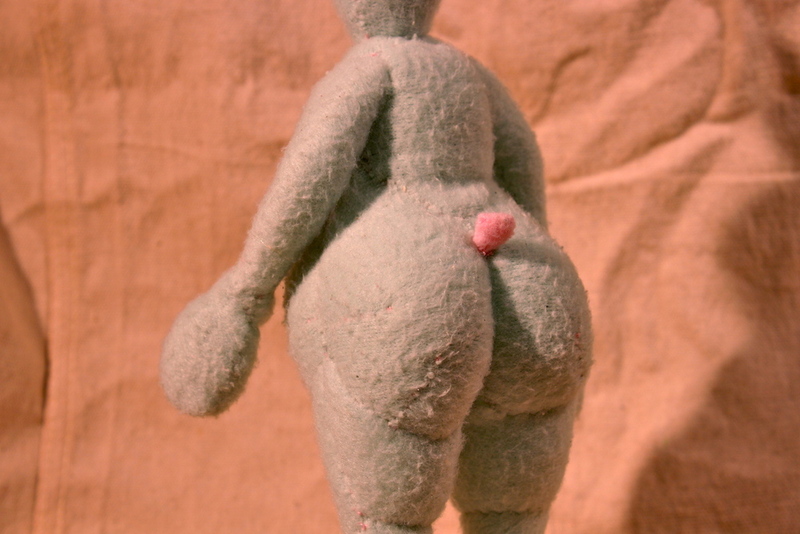 She's a fun-loving, confident (if not misguided) bunny, with a large heart and even larger rear end. 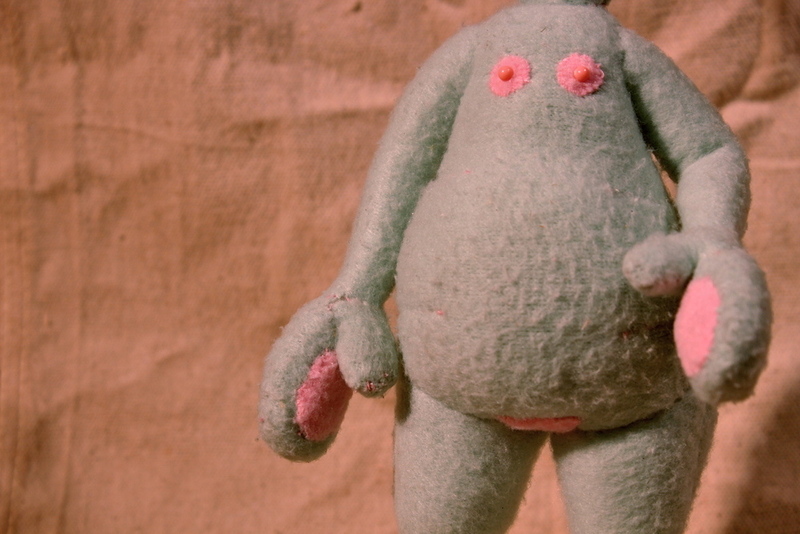 Watch her in action in The Bunny & Lady Show! 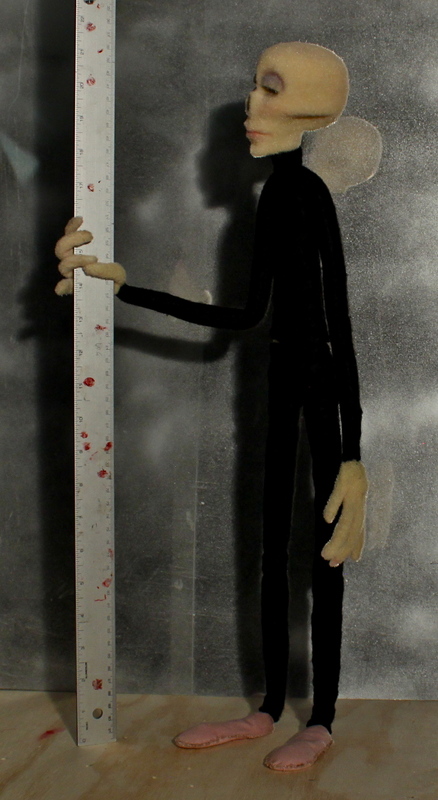 Agatha is an animation puppet who stands over 1.5 feet tall. 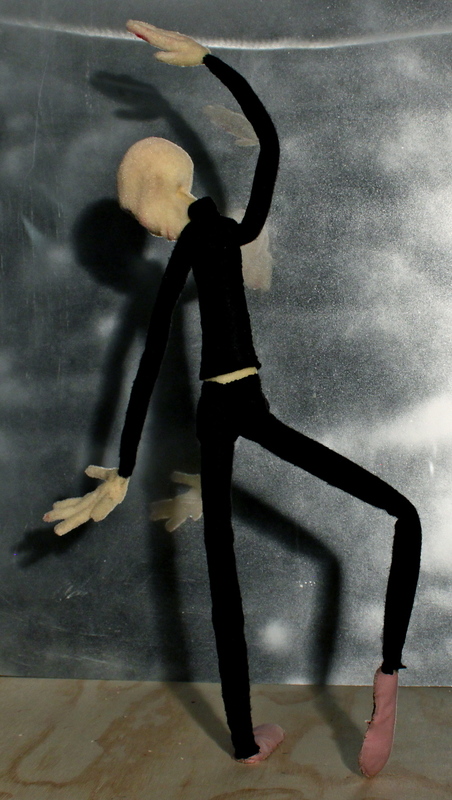 She is an androgynous pseudo-skeleton with a passion for dance, both traditional and of her own style. 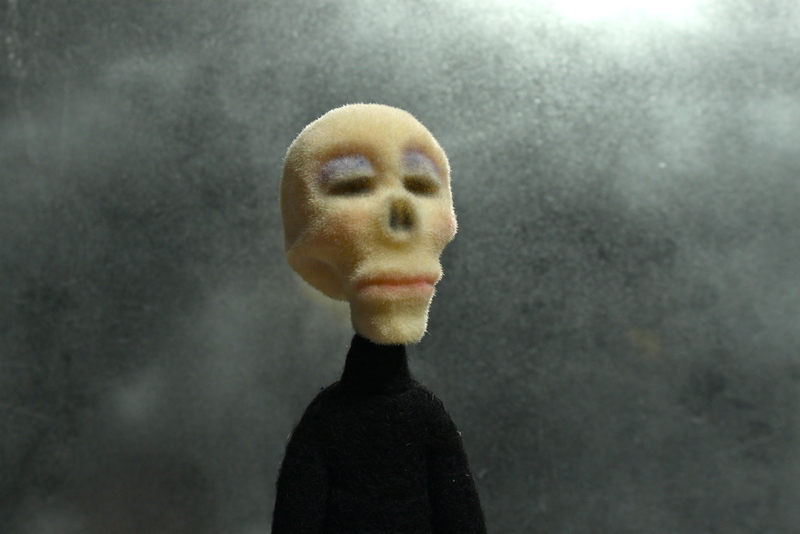 She has a wire armature underneath a carved foam body. Her head and hands are flocked and she wears chalk pastel makeup. Clothing and shoes are hand-sewn. 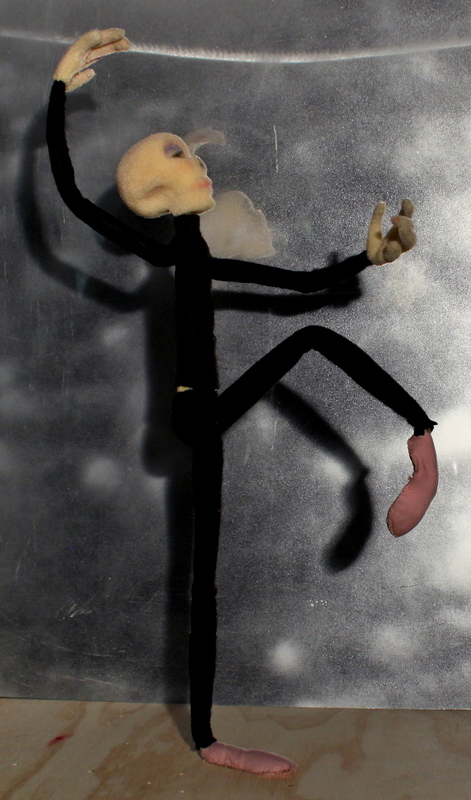 Special thanks to Puppet Heap for advising flocking.